If you have been to a wedding, a sports club ball or other large celebration event this year, then the chances are that you will have been sitting on a Chiavari chair. Chiavari chairs are the classic style wooden banqueting chairs, characterised by the mix of vertical and horizontal batons on the rear of the chair. They are also stackable, meaning that they are easily transported to and from a venue and also easily positioned within a venue, and so making them the perfect temporary event chair hire option. We already offer one of the most extensive ranges of Chiavari chairs in the country, and today we are adding yet another colour option of Chiavari chair, that being our brand new goldwash Chiavari chairs, currently available for our London clients only. Of course, not all events are the same, and that’s why it’s vital that leading chair hire companies such as Event Hire UK offer the complete range of Chiavari chairs and other furniture hire products to cater for all event requirements. 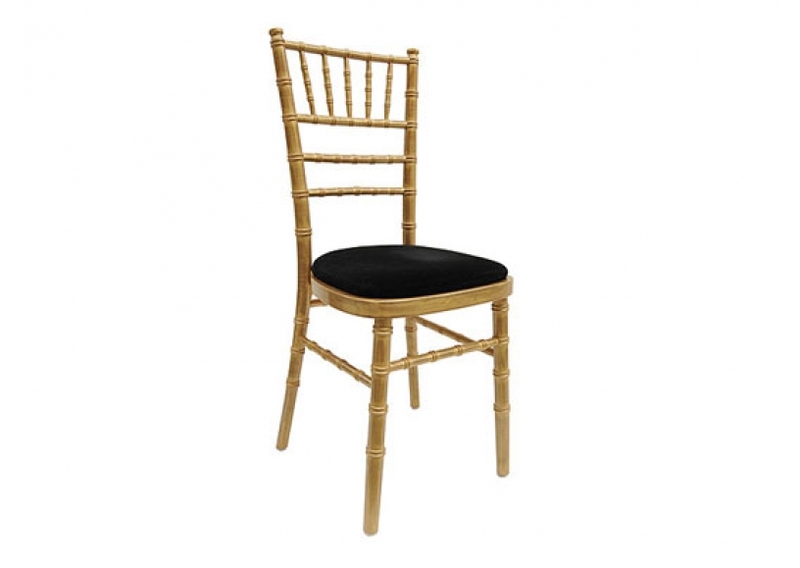 Whilst we already offer gold Chiavari chairs for hire, there is also a demand in London for goldwash Chiavari chairs which are still gold in colour but with a distressed-style finish. These antique style goldwash Chiavari chairs are popular for London events such as corporate event dining and hospitality, not to mention weddings and other similar occasions. Add to this the fact that you are able to choose your seat pad colour from our range of colour options and you have the perfect temporary event chair rental product. So, if you want to hire Chiavari chairs, then you are in the right place here at Event Hire UK online. Our range of colours of Chiavari chair now comprises limewash Chiavari chairs, silver Chiavari chairs, black Chiavari chairs, white Chiavari chairs, gold Chiavari chairs, blackwash Chiavari chairs and now our brand new goldwash Chiavari chairs, completing the set. From our nationwide network of sales and distribution centres, Event Hire UK is able to service most events in terms of the range and the quantities of hire chairs required. We work closely with our clients behind the scenes to provide them with a seamless, hassle-free hire experience for their event. So, why not contact us today and find out for yourself what makes Event Hire UK the #1 destination for venues and event planners across the country.